Hello and happy spring to all our loyal supporters! We hope you will enjoy reading about what we’ve been up to in the first quarter of 2018. None of these activities would have been possible without the generous support from our donors. If you’ve been thinking about giving to WOV, now is a great time! This quarter we met with families and signed contracts for the new year, conducted medical exams (and follow ups) and distributed tuition and subsidy payments for all of our 21 youth scholars. We are working on two new projects which we hope will have substantial impacts in our community. First, we are hoping to add health classes for mothers of our scholars. Our second project focuses on the child labor and children living on the street. This year we have allocated $1000 to support one of these children. We are checking with local NGOs on how best to approach this situation. We started the fourth season of GIA on 6th January, 2018 with 20 girls. We provided t-shirts and shoes to new participants. The girls participated in 28 days of training in preparation for their 5K. We were also able to incorporate some team bonding activities to help the girls get to know one another and increase enthusiasm. There was no 5K scheduled in the area that matched well with our training schedule, so we held our own race! The girls had a great time completing their 5K on March 17th. Group photo after the race. Field trips and hikes: We organized a short trip for GIA to the National Botanical Garden in Kathmandu Valley. We used this field trip as an opportunity for learning and getting close to nature and, of course, to have fun. It was everyone’s first visit to the garden and they all were curious, happy, and excited to be surrounded by the immense beauty. The girls were interested to learn how greenhouses actually work. Health Classes: We have identified three new schools (government and community schools) which we will conduct health classes at, bringing our total to five. Health classes will begin in April as the new academic session starts. We are partnering with Sahaayam Nepal, a local NGO, to conduct health classes. 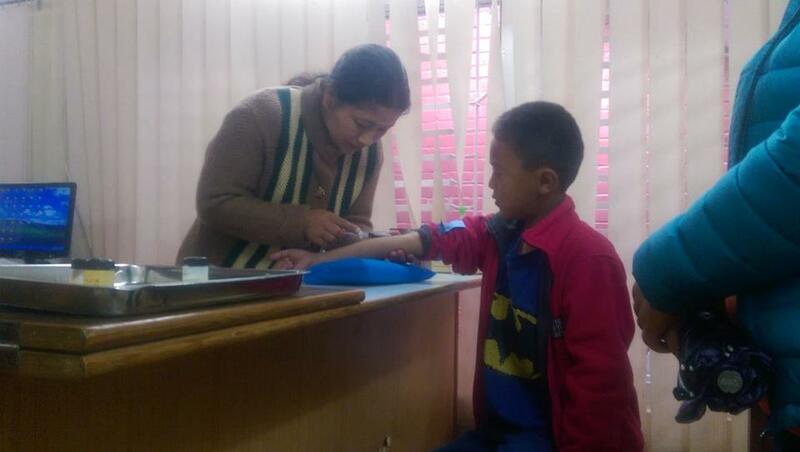 Pasang, one of the youth scholars, giving a blood sample at Nepal International Clinic during our annual health screening. On the occasion of Holi (the “festival of colors”, which signifies the victory of good over evil and spring’s arrival), WOV organized a short fun program at one of our partner schools. Mira Rai (2017 National Geographic Adventurer of the Year) and Jayne (a Zumba instructor) joined the GIA girls in dancing and celebrating the holiday. We relocated our office from Kalopul, Kathmandu to Pulchowk, Lalitpur. We also clarified board members’ roles. Development: We currently focus on individual donors (you!) to provide the majority of our funding. We also hope to partner with more corporations to support our efforts in Nepal. If you know of any organizations that would be a great fit for us, please let us know. WOV operates with less than 5% of all funds spent on administrative costs, with over 95% of funds going directly to program areas. Donations will support our core ‘Youth Scholars’ program while also continuing the ‘Girls In Action’ program. 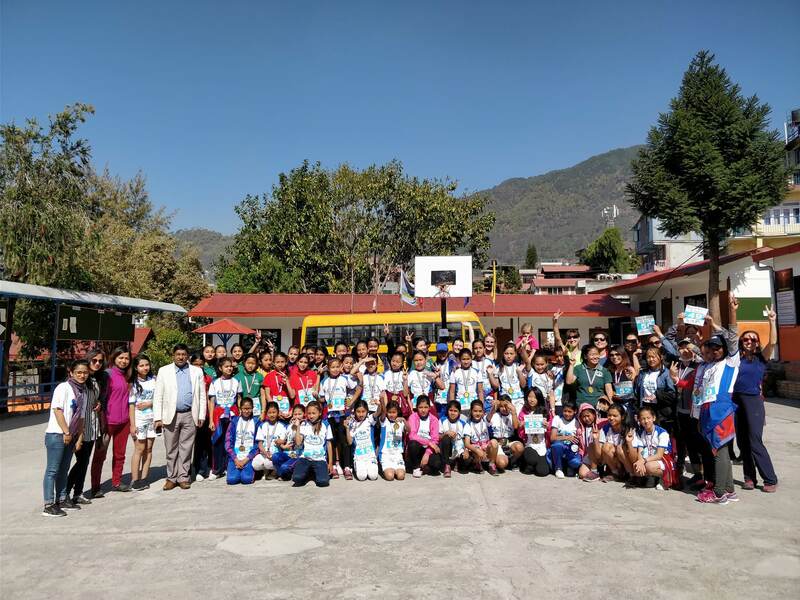 Through these two programs we have been able to reach hundreds of students in northern Kathmandu, and we hope to continue making an impact on their lives. For only $120USD you can provide a Youth Scholar with school tuition for a year. 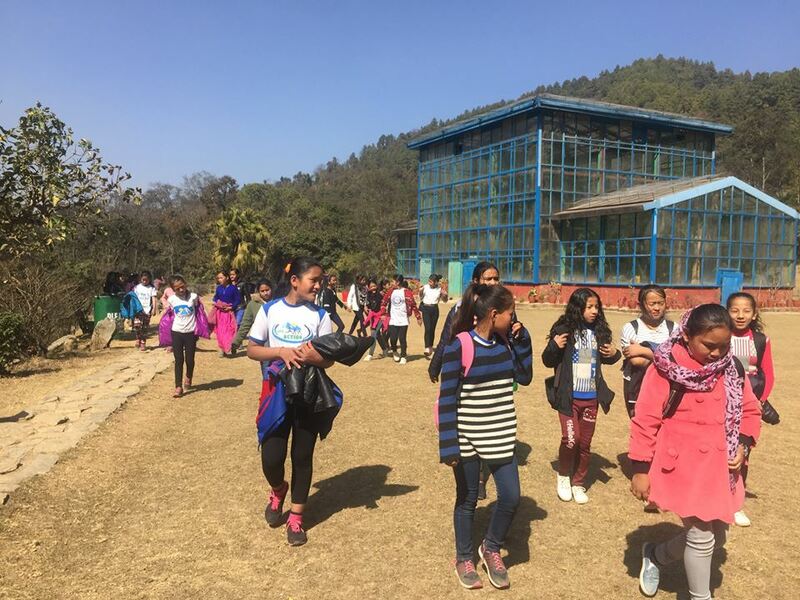 Or consider making a donation (no amount too small or too large) to GIA to support Girls Running Program, health classes, hikes and self-empowerment for our girls. Remember that a little goes a long way in Nepal. We greatly appreciate your continued support!